What if I told you that you could have a brand new, quad core PC running a fully licensed version of Windows 10, and it would only cost you $35. Considering that is a fraction of the cost of any single component in a typical PC build, you'd think I was dreaming, but it is indeed a reality with the newly announced Raspberry Pi 2. Of course, you'd be fooling yourself if you thought you could use this rig to play Crysis on the highest settings, but the updated version of this micro-sized PC packs a lot more punch than you may otherwise expect. The Raspberry Pi 2 Model B+ is as tiny as ever before, but it rocks a 900MHz quad-core SoC (Broadcom BCM2836 with four 32-bit ARMV7 Cortex-A7 cores) and a full 1GB of RAM. This results in performance that is six times faster than the older model. And to sweeten the pot even further, Microsoft has expanded its Windows Developer Program for IoT to include the new Raspberry Pi 2, providing the tiny PC with a completely free release of Windows 10. It's not yet clear whether this is the full version of Windows 10 that Windows 7 and Windows 8 users will be getting for free, but it will definitely support the Raspberry Pi 2 platform. My guess is that it'll get the Windows 10 geared more toward mobile devices like phones and tablets. 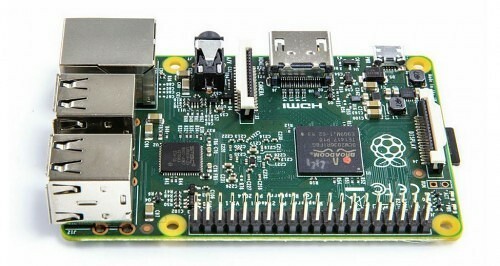 In any case, you can pick up the new Raspberry Pi 2 Model B today for $35. The first instance only has 100,000 units, so you may want to act quickly if you want yours sooner rather than later. Watch All Our Complete CES 2015 Las Vegas Video Coverage Right Here!